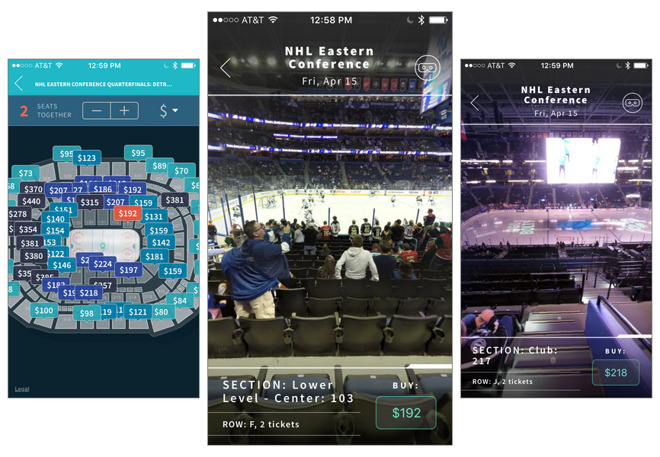 Ticket marketplace Rukkus is stepping into the virtual reality field with a new update to its iOS app, allowing users to sample the view from their seats in an arena in a more immersive way before they complete their purchase. The new "Seat360" feature is billed as the first-ever virtual reality seat sampler for all NBA, NHL and most MLB venues across the U.S. and Canada. Rukkus's new, exclusive feature offers users a 360-degree panoramic seat view right from their iPhone. Upon downloading the version 7.0 update, users can search for an event, then tap on a section where tickets are available. The app automatically presents a 360-degree photo in portrait mode, allowing users to move their iPhone freely to see the view from that section. An optional link is also included to support VR headsets like Google Cardboard. Upon enabling it, the seats are shown in 3D, allowing users to place their iPhone in a headset and see their seats in an even more immersive fashion. The new Rukkus app also adds support for 3D Touch, allowing iPhone 6s and iPhone 6s Plus users to peek into different events with a firm press of their finger. The app also features Apple Pay integration for easy checkout with saved credit cards. The Rukkus service scours 1,000 ticket reselling sites for the best seats and prices available, and purchases made through the site are guaranteed. 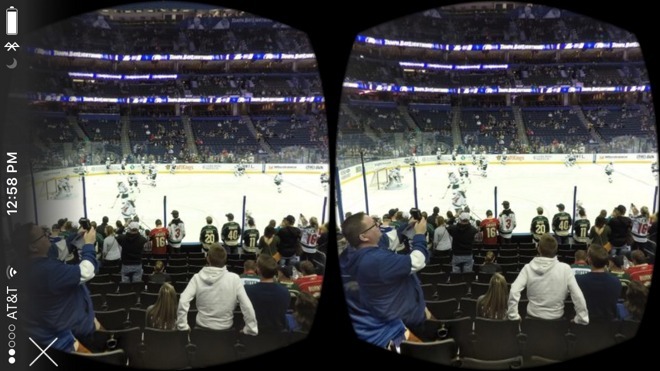 The new 360-degree view and virtual reality compatibility launch just in time for the start of the NHL and NBA playoffs. Rukkus is a free download available on the iOS App Store. The app is designed for both iPhone and iPad. You can sample the new 360-degree views in an embed below.